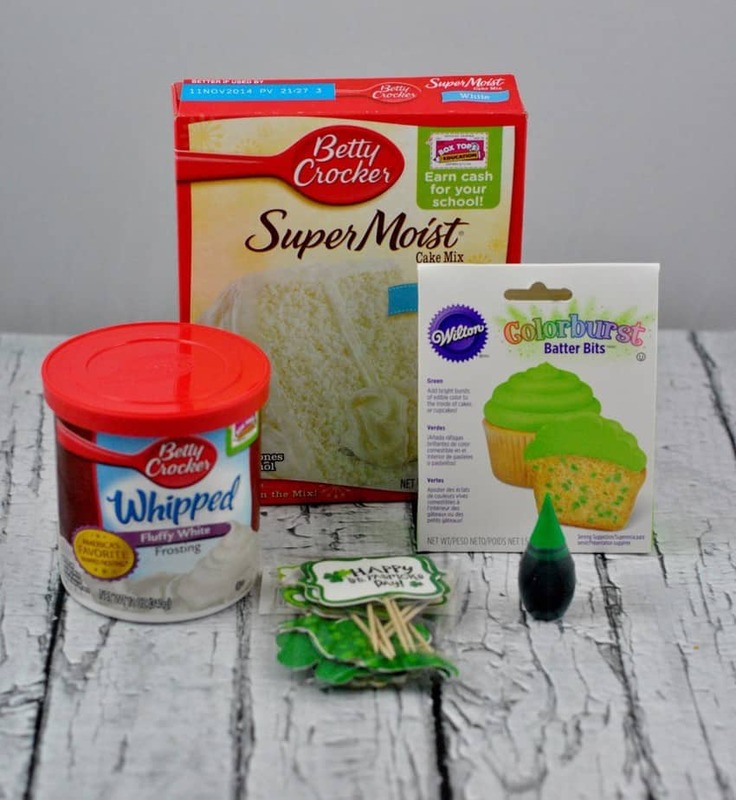 Step 6: Place a container of white whipped icing into a bowl, and add green food coloring. 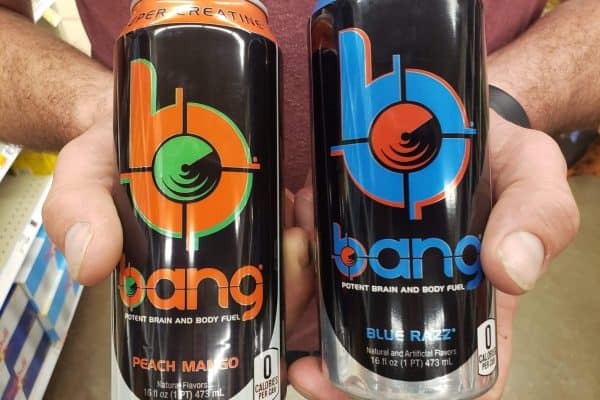 To get this color, we added about 20 drops of food coloring, but you can use as much or as little as you want to get the color you are looking for. Make sure you mix in the food coloring completely with a spatula. Step 7: When completely cooled down, ice the cupcakes with the green icing. We used a starburst icing decorating tip placed in the corner of a zip lock bag to apply the icing, but you can just spread it on with a knife or spatula if you prefer. Step 8: Sprinkle on some Wilton St. Patrick’s Day sprinkles and enjoy. 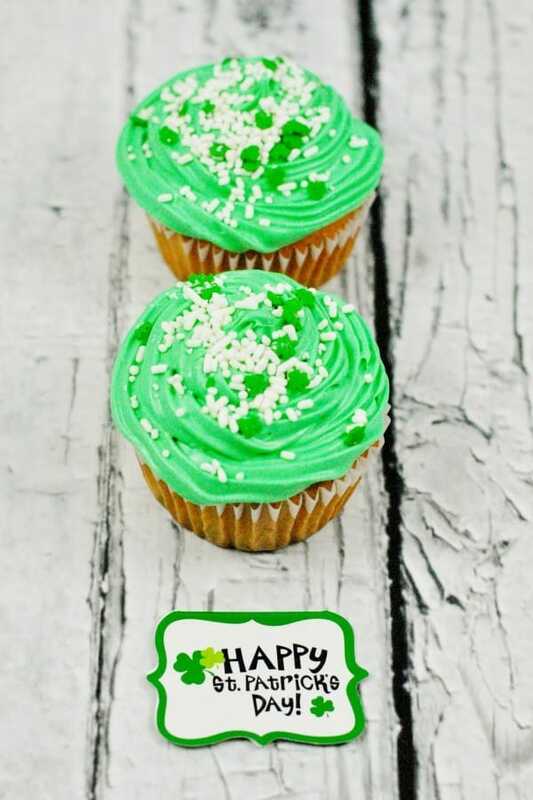 What are your favorite treats for St. Patrick’s Day? 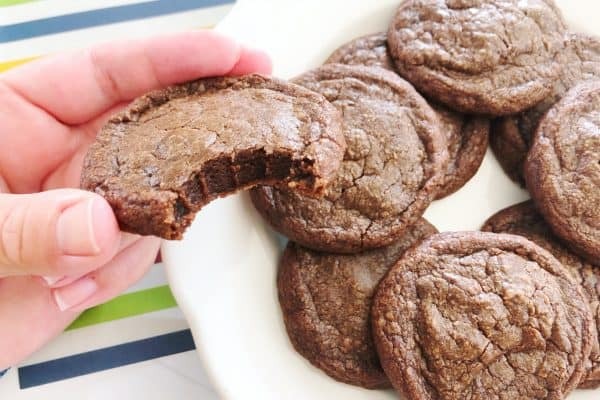 This Mama Loves has teamed up with Better In Bulk and From Val’s Kitchen to bring you this recipe linky. This feature runs every Monday. It’s a great opportunity for you to find and share menu ideas. Please visit the other bloggers and readers and check out the recipes they’ve shared. You never know, you could meal plan your whole week right here in a matter of minutes! 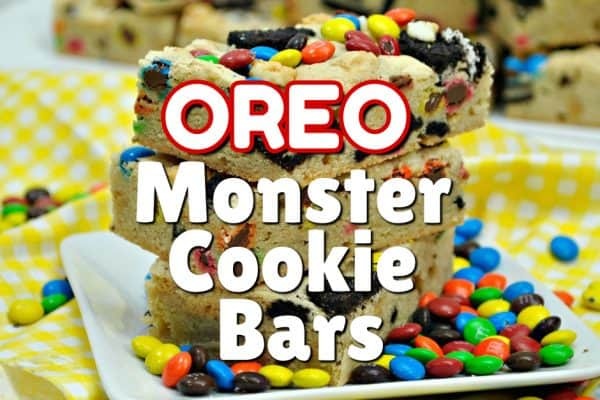 Come link up your fave recipe or browse through our linky! So fun! Thanks for linkin’ up with What’s Cookin’ Wednesday! Oooh, I love bursts of color in cupcakes! (That’s why I love funfeti so much, lol.) Thanks for sharing your recipe with us at Merry Monday this week! I love the surprise inside! What a festive, St. Patrick’s Day treat! I would love if you would drop by and share this at Celebrate It! blog party! It is where you can share how you celebrate the everyday things you do! Those cupcakes look delish and love the surprise inside! Oh those are fabulous cupcakes! I have a little man who’s favorite color is green. He would love these all year long! Oh I love it when there is a surprise inside the dessert. Super cute cupcakes! I have not tried the Colorburst Batter Bits yet but now I want too! Your cupcakes turned out great! Too cute! Love these, but I’m feeling guilty. My kids didn’t even get treats for Valentine’s Day. These look perfect for St. Patty’s Day! YUM! My kids would LOVE the batter bits! They are all about sprinkles!